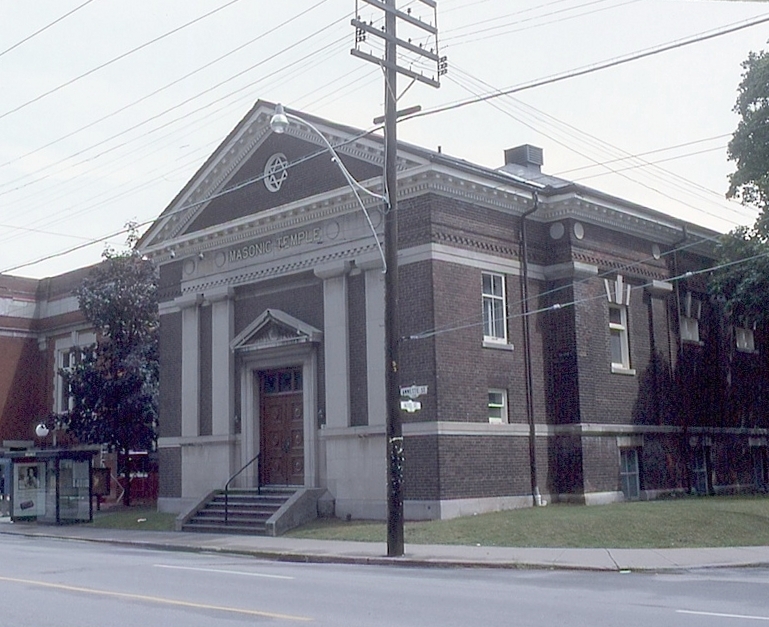 The Masonic Temple was designed by Ellis and Connery, and opened shortly after the library. 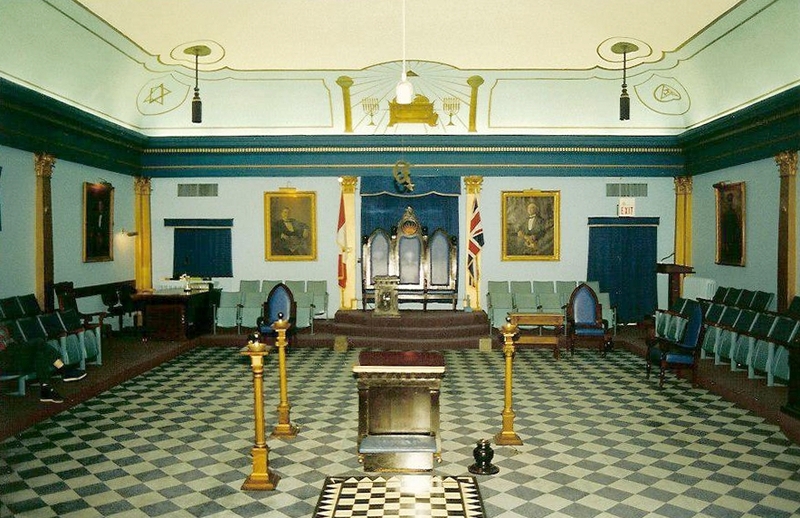 Like many other important Junction men of his day, Ellis was himself an active freemason, and he served as the master of local Stanley Lodge prior to this building’s construction. The main entrance has been altered since the building first opened, and the close proximity of the steps to the sidewalk is a result of Annette Street having been widened after World War I.
stone facade element below it.